Trind is Europe's most trusted and respected line of hand and nail care products. They are known globally as experts with 25 years of expertise. Founded in the Netherlands, Trind is an expert in the natural care of nails, hands, and feet. Emilee at Deals of Sweetness loves some of the great Trind Nail Tips that were shared with her and was excited to share her favorite - the Bare Manicure - with you! She will be sharing her review of Trind Nail Care in a couple of weeks, so be sure to check in at Deals of Sweetness to see what she thinks! Would you like to win a Trind Nail Kit? This prize includes: Trind Moist & Shiny Kit (Nail Magic Buffer, Moisturizing Nail Balsam, and Nail Repair); 3 Caring Colors nail polishes in a gorgeous fall color lineup - Red Shimmer, Dark Tan, and Deep Blue Shimmer; and a beautiful black patent leather look makeup bag. Approximate retail value is $90. This giveaway begins on 10/31 and ends on 11/14 at 10:00pm Central Time and is open to US and Canada ages 18+. Winner is subject to eligibility verification. 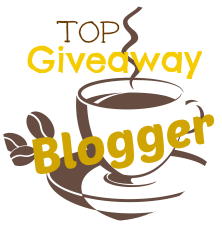 Limit 1 prize per winner for this giveaway program across all blogs. Winner will be notified via email (consider adding dealsofsweetness@gmail.com to your "Safe List" as winning email notification will be sent from this email.) and will have 48 hours to confirm before a new winner will be drawn. Please refer to the full terms and conditions in the Giveaway Tools. Great. Trind Strong & Shiny Kit.